This book picks up where Kabbalah and Psychoanalysis (2012) left off. It is based on two expanded transcriptions of seminars given for the New York University Postdoctoral Program Contemplative Studies Project. 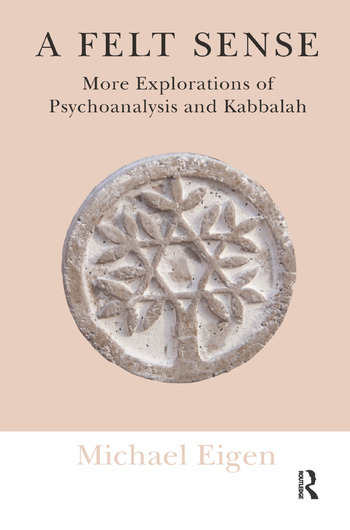 As noted in Kabbalah and Psychoanalysis, W. R. Bion once said that he uses the Kabbalah as a framework for psychoanalysis. This book enlarges the inner sense of this statement. The seminars depict intricate intertwining of processes in psychoanalysis and Kabbalah, processes important in helping us live more richly. Religious language helps bring out nuances of psychological states and psychology helps make the language of the spirit more meaningful to emotional concerns today. Bion and Winnicott are the main psychoanalytic heroes of this work, each adding richness to a “root sense” out of which their clinical and written work grow. A felt sense, spans many dimensions, traversing sensory life, vital sensing, common sense, the sense of language, cultural sensing, intuition, Freud’s use of consciousness as a sense organ of psychical perception, and other qualities still unknown. Case descriptions include extended work with an alcoholic man, opening new paths to living, and a detailed account of helping a creative, tormented woman die well. Aspects of psychosis, creativity, mysticism and everyday life blend and have a say. The main focus is psychic reality, with psychoanalysis and Kabbalah tools in this great enterprise of learning to work with ourselves. Michael Eigen is a psychologist and psychoanalyst. He is Associate Clinical Professor of Psychology in the Postdoctoral Program in Psychotherapy and Psychoanalysis at New York University, and a Senior Member of the National Psychological Association for Psychoanalysis. He is the author of a number of books, including Toxic Nourishment, The Psychoanalytic Mystic, Feeling Matters and Flames from the Unconscious.